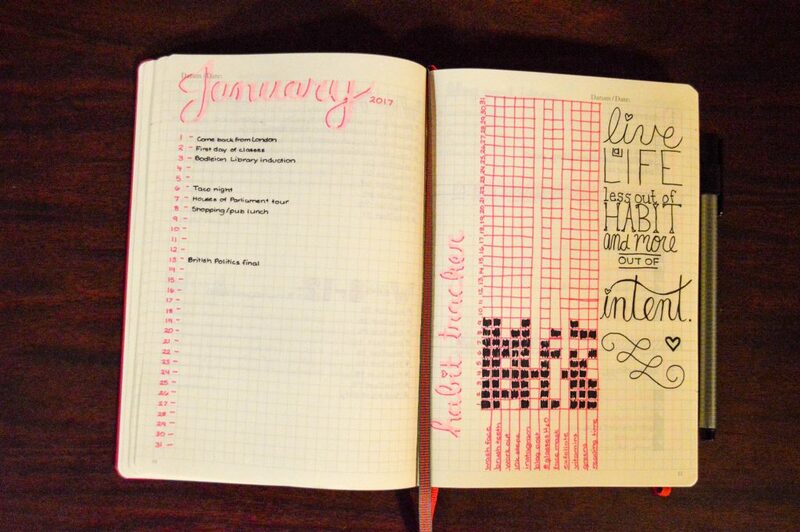 It’s no secret that I’m obsessed with planners. As a Type A, slightly neurotic student/now-blogger, I have to have something in front of me to keep track of both major assignments and events, as well as menial day-to-day to-do lists. Over the years, I’ve gone through my fair share of planner varieties: Lilly Pulitzer, Kate Spade, Erin Condren, Day Designer, you name it. 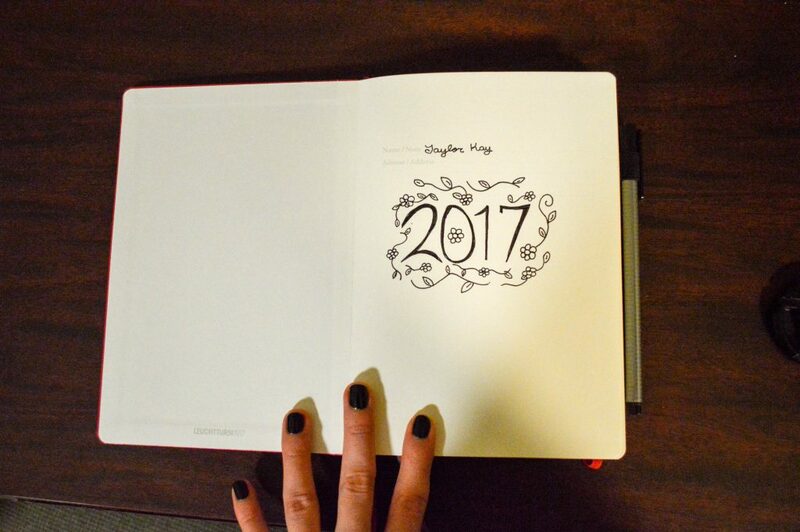 However, for 2017, I started a new form of planning: the bullet journal. So what’s a bullet journal? 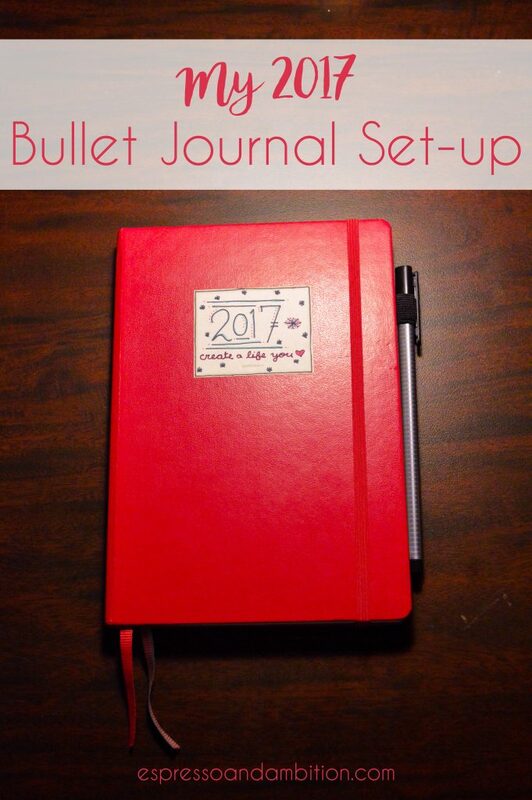 A bullet journal is essentially what you make of it. You start with a blank notebook, and draw your own pages. 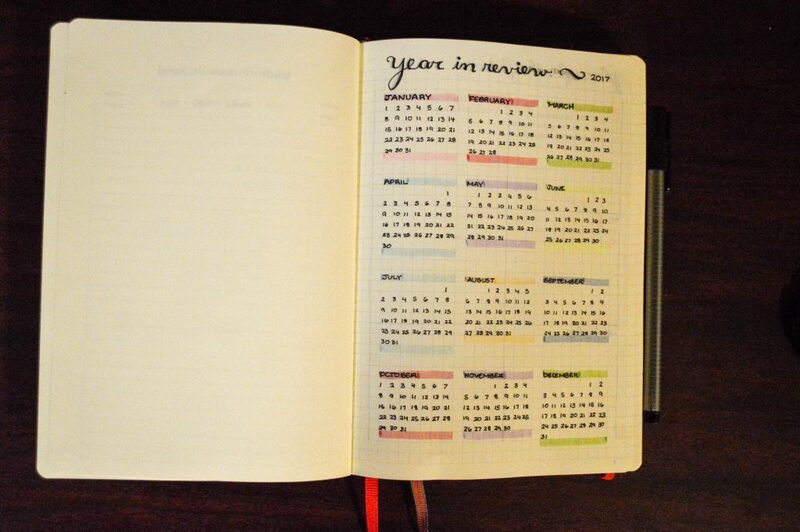 People generally start with a table of contents, then progress to other important pages like a yearly overview. 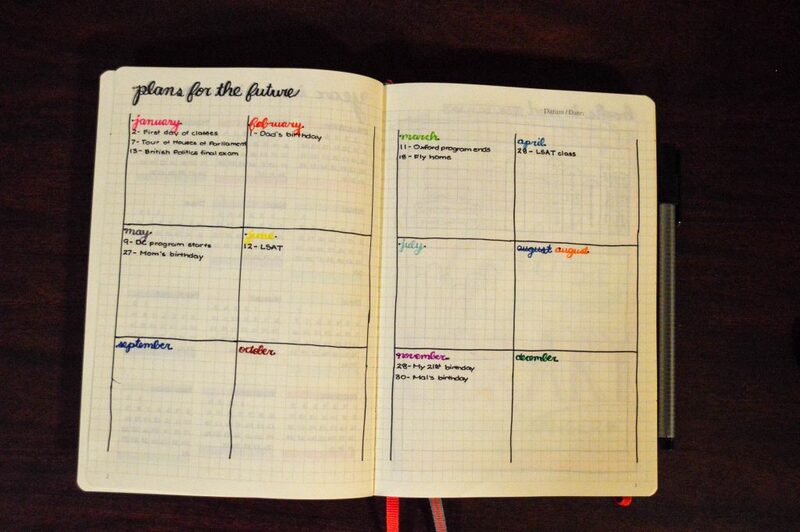 From there, you can set up your planner scheme to work with what you want it to achieve. For example, in keeping with my New Year’s resolution, I’ve sketched out a bookshelf to track the books that I read this year. It’s a fantastic system because you really get to pick and choose what organizational elements you want to use, and it’s an all-in-one resource for all those random lists you might normally just write on scrap paper (and inevitably lose track of). If you’re interested in starting a bullet journal, I’ve included some pictures of my general layout as inspiration – I’ll probably include some updates throughout the year as I learn what methods work best for me. Here’s my cover page… nice and simple. After this is my table of contents, which is so supremely uninteresting-looking that I didn’t even bother taking a picture of it. Year in review – just a quick snapshot of the entirety of 2017. Here’s where I write the major events that are coming up throughout the year. Disregard the color mix-up in August, it’s got the cone of shame (and will eventually get fixed by White Out once I can get my hands on some. I’m obsessed with this little bookshelf; I like to think that getting to color in the books motivates me to read more. My LSAT study plan is going to be a major part of 2017, so it got its own section (that goes on for another two pages… yay *rolls eyes*). 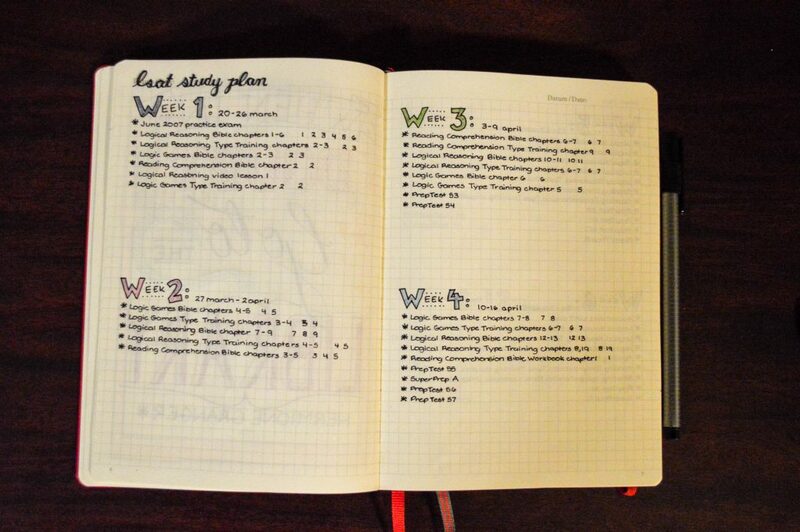 This is my current set-up for my monthly overview: tracking daily events on the left and habits on the left. I love this habit tracker because it’s great to keep track of important stuff, and also you feel really awesome about your day when you get to color in a bunch of boxes, even if they’re only for menial things like brushing your teeth or taking your vitamins. Finally, here’s where I keep my daily schedule/to-do list. 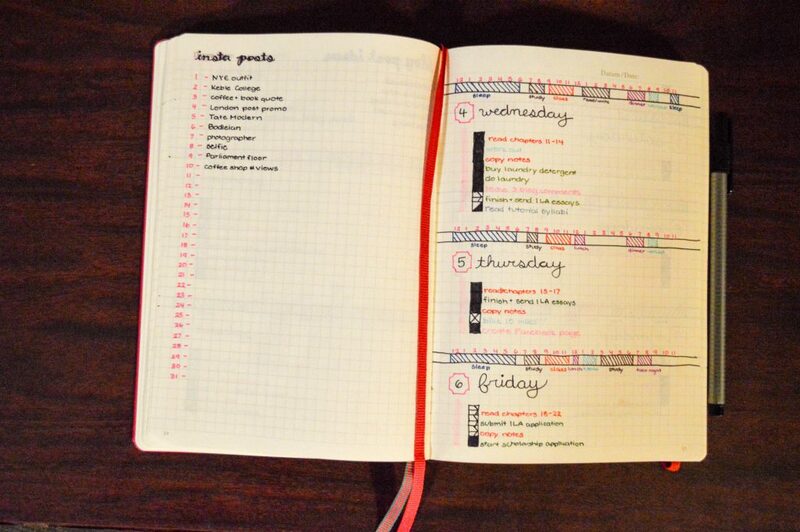 The top bar for each day shows how I plan on using my time, and my to-do list is below. I’ve also got a schedule of my Instagram posts on this page; I’m trying to post once a day and like being able to track the variety of posts I’m making. I love your bullet journal I have always wanted to do one of these. I think they are so creative and cute. I loveee the bookshelf you made that is such a cute idea! Thank you! 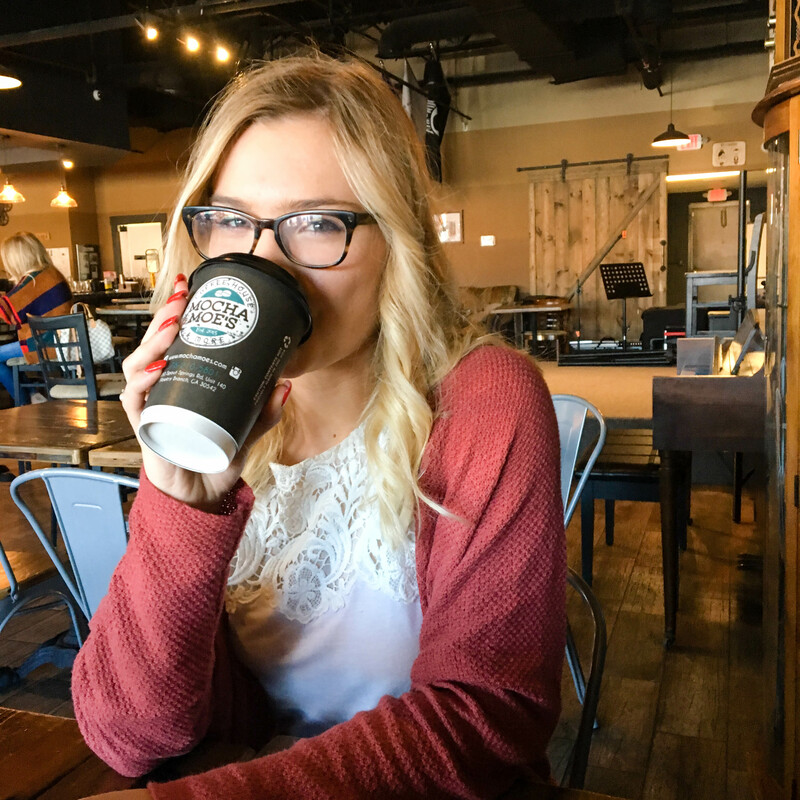 I’m glad you love your journal – it’s all about finding something that works for you! Ok this is the coolest thing ever. I love the bookshelf page the best! Getting to color in the books really would help me want to read more! 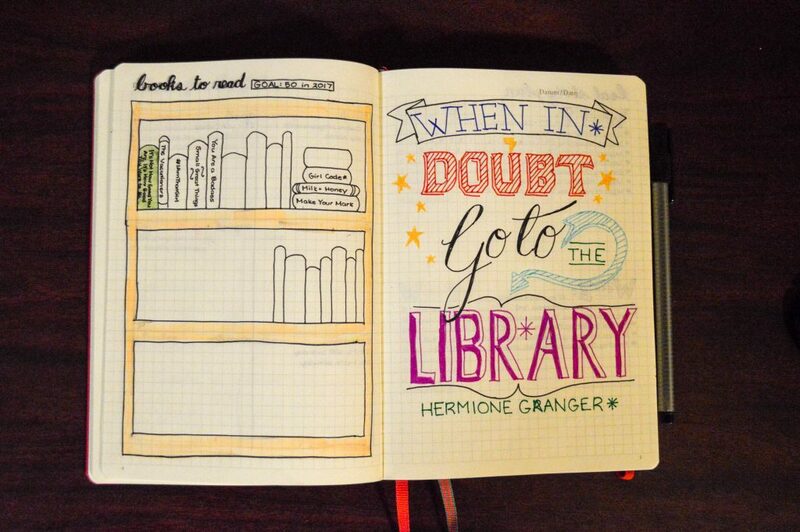 Coloring in the bookshelf is probably my favorite thing about my bullet journal – it’s really a great feeling!